We are one among the prominent manufacturers and suppliers of a gamut of Bench Grinders. Made in accordance with the industry set standards, the whole range of grinders offered by us is widely praised in the market. The provided motorized bench polishers enable the smooth operation of the offered products. Furthermore, we make these offered grinders available at cost-effective prices. 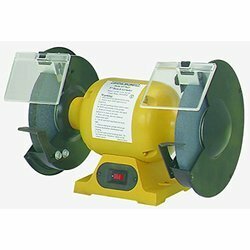 Looking for Industrial Grinders ?